Google Pay is an e-wallet developed by Google that allows you to securely store your debit card(s) on your Android device and make electronic purchases using your Android device(s). Once you’ve added your card to Google Pay, your debit card number is replaced with a device account number which is stored on your mobile device and used to make payments via Google Pay. It’s a system, such as Google Pay, that allows you to securely store your debit card(s) on your mobile device and make electronic purchases using your mobile device. Which Android devices are compatible with Google Pay? Google Pay works with most NFC capable Android devices running Android 4.4 (KitKat) or higher. Which Cumberland cards can I use with Google Pay? All black and orange Cumberland debit cards are eligible for use with Google Pay. Green debit cards and cashcards are not compatible. 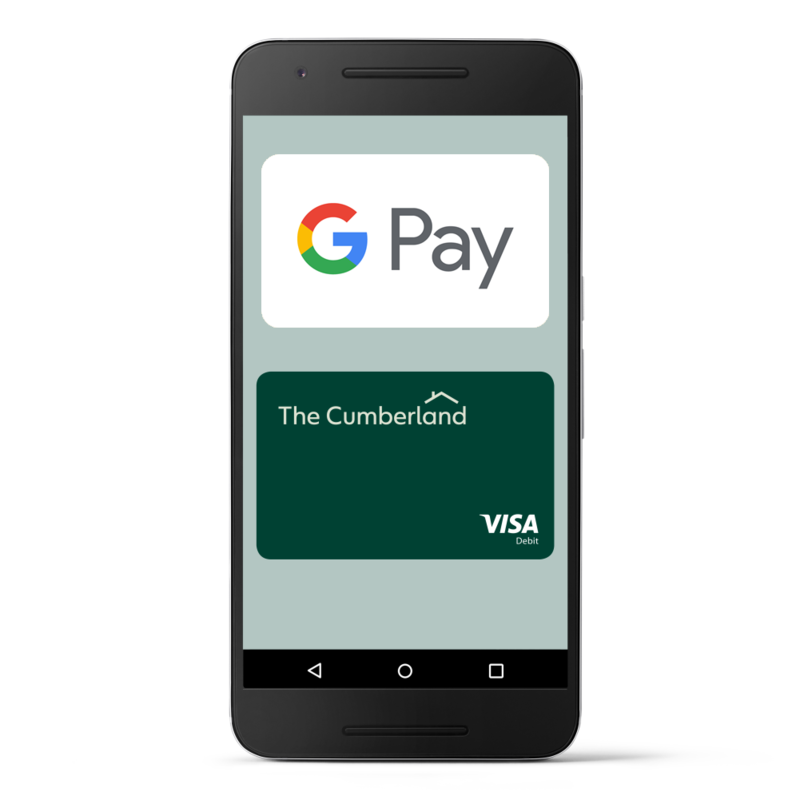 How do I set up my Cumberland debit card on Google Pay? once it's verified, your card is ready to be used with Google Pay. The first card you add to Google Pay will be your default card. Payments made in a store will always be made from your default card. In-app payments will default to the last card you used in-app with Google Pay. You can change your default card at any time by selecting a different card and tapping 'Set as a default card'. Google Pay transactions have no limit, however some retailers may limit individual payments to £30. There is no limit on in-app transactions. We don't charge you for using Google Pay, but your mobile network provider may apply charges according to your data plan. We don't charge you to use Google Pay abroad, or to make transactions in foreign currencies, with a Cumberland debit card number starting 4658 5520 or 490971, but the retailer and/or your mobile service provider may apply a charge. 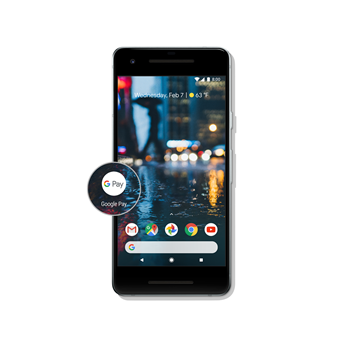 Do I need a mobile data reception to use Google Pay? You don't normally need mobile data or WiFi reception to use Google Pay in stores. It will be needed to make payments in-app. What do I do if I lose my Android device? Cancel your Google Pay registration by using the Android Device Manager or call us and we’ll cancel it on your behalf. You can carry on using your card as normal. If I lose my card, do I need to cancel Google Pay? 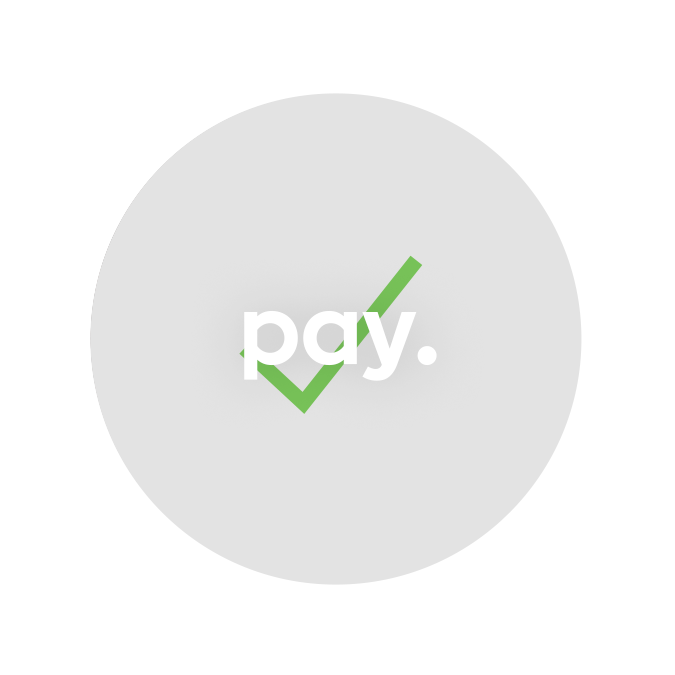 You don’t need to cancel your Google Pay registration and you can use it to make payments whilst you wait for your new card to arrive. When your new card arrives you don’t need to do anything, we’ll move your Google Pay registration to your new card for you. If I lose my phone and my card, what do I do? Please call us and we’ll cancel your Google Pay registration and your card. You can cancel your Google Pay registration yourself by using the Android Device Manager. I’ve tried to make a payment but Google Pay didn’t work. Why? There could be a fault with retailer or with your account. If you were able to use your debit card to make the purchase and you believe the Google Pay payment should have worked, please call us. No. When your card is close to expiring, we’ll we send you a new one and move your Google Pay registration to your new card for you. You can carry on using Google Pay without any interruption. Android, Google Pay Pay and Google Play are trademarks of Google Inc. Using your Cumberland debit card with Google Pay is subject to terms and conditions. * Works with most NFC capable Android™ devices running Android 4.4 (KitKat®) and higher. ** You may need to unlock the device for some transactions.